"The Book of Splendor" named a 'Distinguished Story' in the 2018 BEST AMERICAN SHORT STORIES. Read it here. "The Eleventh Happiest Country" now up on the NEW ENGLAND REVIEW. ​"The Baghdadi" receives Special Mention in the 2014 PUSHCART PRIZE. 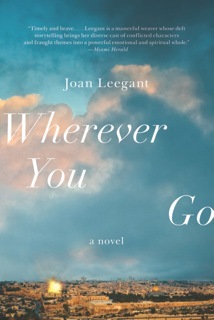 Joan Leegant is the author of a novel, Wherever You Go (W.W. Norton) and a story collection, An Hour in Paradise (W.W. Norton), which won the Winship PEN New England Book Award and the Edward Lewis Wallant Award, and was a finalist for the National Jewish Book Award and a Barnes & Noble Discover Great New Writers pick. 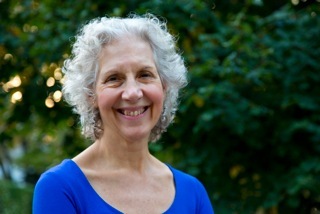 Joan has taught at Harvard, Oklahoma State, Cornish College of the Arts, and Bar-Ilan University in Israel where she was the visiting writer from 2007-2013. From 2014-2016 she was the writer-in-residence at Hugo House in Seattle. She lives in Newton, Massachusetts.